Saint Anthony Hospital (IL) sues The Leapfrog Group for defamation after the quality rating organization lowers the hospital’s patient safety score from its previous A grade to a C.
The hospital says Leapfrog gave it a low score for underusing electronic prescribing even though the information it submitted showed that doctors order medications electronically 95 percent of the time. Saint Anthony is demanding a temporary restraining order to keep Leapfrog from publishing its score. Leapfrog’s fall 2017 report that was released October 31 does not include the hospital. From CIO Reader: “Re: Citrix maintenance price hikes. I don’t have the details, but our maintenance fees will increase nearly 30 percent.” My rule of thumb for companies selling to hospitals has always been that you shouldn’t raise your prices beyond the average Medicare reimbursement increase, although bigger, richer non-profit health systems spending millions and billions to erect monuments to themselves has converted me to being OK with vendors sticking it to them just like any other business. Hospitals will always find a way to increase volume or reimbursement to cover their ever-swelling expenses. From Grammar Guru: “Re: the HIMSS-owned rag. Needs some help with plural vs. possessive.” Apparently the Healthcare IT New’s editor’s have problem’s with apostrophe’s gone astray. From Broadcom Insider: “Re: Broadcom’s $130 billion offer to acquire Qualcomm. Last week Broadcom’s CEO promised Trump he would move its headquarters from Singapore to the US. This is an easy way to accomplish that – San Diego, here we come! 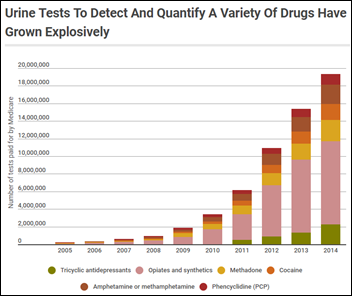 I wonder what will happen with Qualcomm’s Capsule Tech? Will Broadcom want to get into the healthcare market or remain narrowly focused on semiconductors and chip sets? 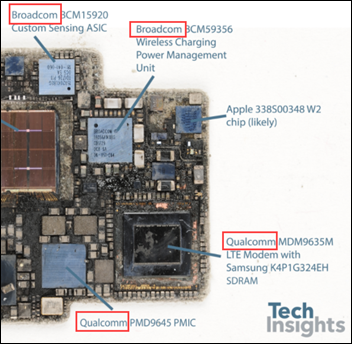 Attached is a teardown of the new Apple Watch, which contains mostly Broadcom and Qualcomm chips. Clearly the deal makes a great deal of sense.” Experts say the biggest challenge with the blockbuster deal will come from China, which, like the US, looks closely at proposed deals that could shift technology sales offshore. It’s always interesting when a smaller company (Broadcom, $18 billion in annual sales) bids on a larger one (Qualcomm with $22 billion). Qualcomm Life includes Capsule medical device integration (acquired in September 2015 for an undisclosed price) and 2net remote monitoring. Qualcomm Life previously acquired HealthyCircles for data sharing, but that seems to have been either killed off or rolled into 2net. If the acquisition goes through, it would seem both easy and advisable for Broadcom to sell the Qualcomm Life business to a company more focused on healthcare, perhaps Philips or even Nokia. Lorre is running her year-end special for new HIStalk sponsors – avoid the pre-HIMSS rush, sign up now, and get the rest of this year free. She’ll also offer a deal to wayward former sponsors who want to return to the fold. Listening: new from Kesha, who has matured individually as a singer-songwriter at 30 (even removing the “$” in her name) and, more importantly, musically, with less Auto-Tuned dance pop and more pure rock in her first release since 2013. Her latest album features tracks with Eagles of Death Metal, the horn section of the Dap-Kings, and Dolly Parton, which is a pretty eclectic group. Clinical Architecture will expand its 52-employee Carmel, IN headquarters, more than doubling its square footage and adding 40 jobs by 2021. 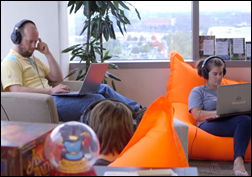 CoverMyMeds will hire “hundreds” of support team employees immediately for its Columbus and Cleveland offices. The 500-employee company, which has annual revenue of more than $100 million, was acquired by McKesson in January for $1.1 billion. Salesforce and Google will integrate Google’s analytics and office software with Saleforce’s platform and Salesforce will use Google’s cloud infrastructure for some of its new services. Cardinal Health fires CEO George Barrett after a poor quarterly report due to lower generic drug prices and the Amazon threat, promoting the CFO to the top chair. CVS Health, fearing competition from Amazon, announces plans to offer free, next-day prescription delivery nationwide next year, with same-day service available in some urban areas. 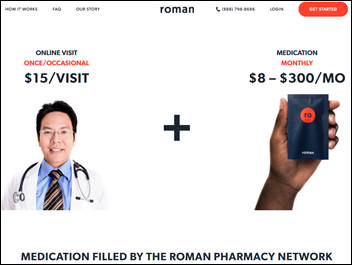 Roman, which offers online diagnosis and treatment of erectile dysfunction, raises $3.1 million in a seed funding round. Customers choose their preferred drug if desired, pay $15 for a five-minute online visit, then receive home delivery of their med. The company serves men in California, Florida, New York, and Pennsylvania. Drug prices range from $2 for a 20 mg generic Viagra tablet to $63 per tablet for brand-name Viagra. 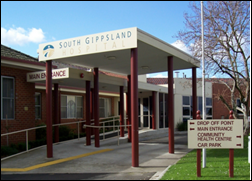 In Australia, publicly funded health service Gippsland Health Alliance chooses Allscripts Sunrise. 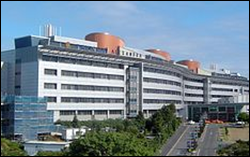 In the UK, Princess Alexandra Hospital selects Agfa HealthCare’s enterprise imaging platform. Amita Health (IL) will implement PerfectServe’s enterprise clinical communication and collaboration system. Non-profit health plan AlohaCare (HI) chooses Health Catalyst for population health, accountable care, financial decision support, and operational performance improvement. Erik Smith (UnitedHealth Group) joins Stanson Health as RVP of sales. Former Rent-A-Center CIO Angela Yochem joins Novant Health (NC) in the newly created position of chief digital officer, where she will report to the president and CEO. Huntzinger Management Group hires David Tucker (ESD) as VP of business development. Richard Walsh (Continuum Health) joins HealthHusk as managing partner. BetterDoctor hires John Steinhouse (Box) as VP. Surescripts will offer real-time, patient-specific prescription pricing and benefit information to users of EHRs from Allscripts, Aprima, Cerner, Epic, GE Healthcare, and Practice Fusion for patients whose prescription benefits are managed by CVS Health or Express Scripts. Prescribers will also receive therapeutic alternative suggestions within their EHR workflow and can complete any needed prior authorization during the patient’s visit. Surescripts got its start in 2001 as RxHub, formed by three pharmacy benefits managers (Caremark, Express Scripts, and Medco Health) that ended up as CVS and Express Scripts. 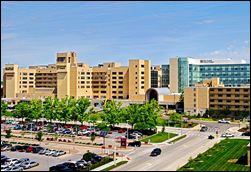 The Tiger Institute Health Alliance HIE (MO) joins the Sequoia Project EHealth Exchange, allowing University of Missouri Health Care to exchange information with St. Louis-based SSM Health. While most consumers search for providers on the Internet, they would rather schedule appointments by telephone. 90 percent of people look up providers to whom they have been referred before scheduling their appointment, most of them preferring to use generic Internet searches rather than checking health system websites. Among the most important factors in choosing a provider are insurance accepted, clinical expertise, and appointment availability. 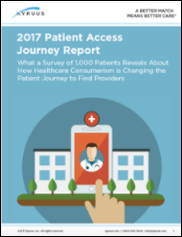 Over 60 percent of consumers will choose a different provider if they can’t get a timely appointment with their first choice. 40 percent of people say they trust online reviews. Millennials are most willing to choose a different provider because of availability and to schedule their appointments online. AMIA announces its unspecified collaboration with the OpenNotes initiative. University of Vermont Health Network (VT) files a state certificate of need to spend $150 million to implement Epic. The health system says it would save money because Epic would replace systems that would cost $200 million to maintain over several years. 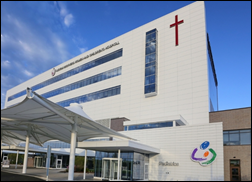 CIO Adam Buckley, MD, MBA says Epic is a good choice because it is widely installed and it completes its projects on-time and on-budget 87 percent of the time, while the health system’s choice of project management firm, Cumberland Consulting Group, has a 100 percent success rate. The VA retools its provider inbox to strip out low-value clinical alerts and trains its doctors to process their messages optimally, with the changes saving clinicians 90 minutes per week. CMS Administrator Seema Verma says the federal government will “reset the federal-state relationship” in proposing Medicaid reforms that allow states to set some rules of their own and to waive the requirement that states report the health outcomes of such changes. The statement’s wording suggests that CMS is happy to consider state-mandated employment, drug testing, and lifetime coverage limits for recipients. Verma said in her prepared remarks that Medicaid consumes 29 percent of state budgets at a cost of $558 billion; that one-third of doctors won’t see Medicaid patients; and that ACA expensively moved many less-vulnerable people – some of them able-bodied and working – into the program, leading to problems with access and quality, adding that “we shouldn’t just celebrate an increase in rolls or more Medicaid cards handed out.” She said the days of a “tragic example of the soft bigotry of low expectations” are over. Verma used the term “able-bodied” four times in her remarks. The owner of a Florida compounding pharmacy pleads guilty to earning $100 million by fraudulently billing insurers $633 million, mostly for pain and scar creams prescribed by doctors who were given kickbacks. The government recovered $7.6 million by seizing the owner’s antique car collection and a 50-foot racing boat. 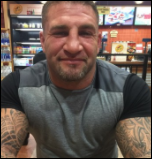 The FBI arrested eight Florida residents in mid-2016 for their role in the scheme. 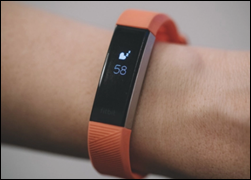 NIH buys 10,000 Fitbits — hopefully at a significant quantity discount — for participants in its All of Us project that will gather anonymous health information from up to 1 million Americans. The South Australian government spends $38 million to upgrade its Allscripts-powered EPAS system, raising the total cost of the project to $361 million vs. the originally budgeted $312 million. 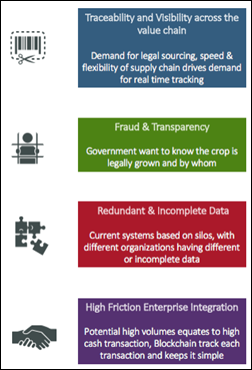 IBM proposes that the government of British Columbia use a blockchain system to protect consumers by monitoring the legal distribution of cannabis from seed to sale. The American Psychological Association’s “Stress in America” survey finds that more than half of respondents – even those who remember World War II, the Vietnam War, and the September 11 terrorist attacks – say the US is at “the lowest point in our nation’s history.” The #1 stressor by a considerable margin is healthcare. APA says a key problem is that people check news sites and social media nearly constantly even though they don’t trust the media and aren’t encouraged by what they see. Perhaps this directly contradicts the “broadband as a social determinant of health” technology fanboys. 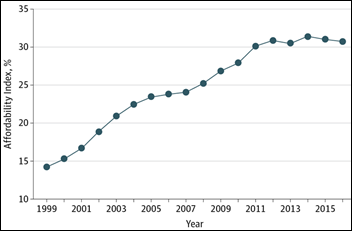 A JAMA report creates a healthcare “Affordability Index” that divides the mean cost of an employer-provided family insurance plan by the median household income, which finds that families spend nearly one-third of their income just to pay health insurance premiums. The situation is likely far worse since the income used in the index appears to be pre-tax, high deductibles mean that total healthcare expense is a lot higher, the index looks only at people who buy employer-sponsored insurance, and many people don’t even bother buying insurance since they can’t afford the premiums or deductibles. I remember doing a similar calculation in predicting that the housing bubble had to burst – more homes were being sold (mostly on speculation, as it turned out) than there were people to live in them and the average cost was many multiples of the average household income in the areas that were experiencing the biggest construction boom, strongly suggesting that the music would eventually stop and somebody would be left holding the bill (taxpayers, as it nearly always turns out). 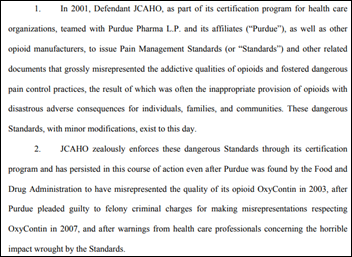 Several hospitals in drug-ravaged West Virginia file a class action lawsuit against the Joint Commission, claiming that its “fifth vital sign” pain management standards downplayed addiction risk and were biased because opioid-selling drug companies helped create them and also supported the Joint Commission financially. A digital health report reviews the “evidence and impact” of digital health tools, but looks at questionable metrics such as the number of available apps, app store ratings, and the number of downloads. 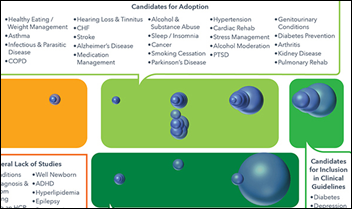 More relevantly, it notes that 571 studies have proved some degree of clinical evidence, 860 clinical trials that use digital health tools are underway, and emphasis is shifting to chronic condition management. It attempts some faith-leaping extrapolation in throwing out a potential $46 billion US cost savings figure if apps were used more widely. The study’s publisher is IQVia, the newly renamed (as of Monday) QuintilesIMS. 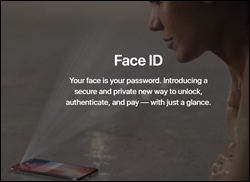 Ambulatory EHR vendor DrChrono enables its app to use the iPhone X’s Face ID facial recognition technology for user log-on. AdvancedMD will exhibit at the American Academy of Ophthalmology conference November 11-14 in New Orleans. Arcadia Healthcare Solutions will exhibit at the Millennium Alliance Summit November 13-14 in Dallas. Hyland Healthcare — fresh off its acquisition of Lexmark’s Perceptive VNA, content management, and imaging business — will demonstrate its PACS, VNA, diagnostic imaging viewer, and unstructured data viewer at RSNA. CoverMyMeds will exhibit at the NG Healthcare Summit November 8-10 in Braselton, GA. Forward Health Group founder and CEO Michael Barbouche will present “What Technology means to the BioHealth and Healthcare Industry in Wisconsin and Beyond”at the HHS SMIR/STTR conference in Milwaukee, WI on November 9. Visage Imaging will demonstrate its enterprise imaging platform at RSNA. 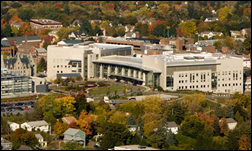 Dimensional Insight will exhibit at the HIMSS NE Northern Maine Day Conference November 9 in Brewer. Elsevier Clinical Solutions nursing executive Tiffany Mccauley, RN discusses the role of technology in the patient experience during the US News Healthcare of Tomorrow conference in Washington, DC. EClinicalWorks will exhibit at the Kentucky Primary Care Association Conference November 8-10 in Lexington. The HCI Group becomes a CHIME Global Partner. 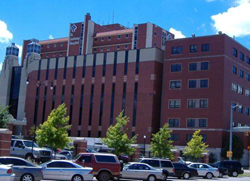 HealthCast will exhibit at the Idaho Chapter HIMSS Conference November 13 in Boise. Madison Magazine recognizes Healthfinch as a trailblazer in the field of healthcare innovation. InterSystems will exhibit at the Millenium Healthcare Providers Transformation conference November 13-14 in Dallas. Can someone from Cumberland please explain what their definition of success is? As someone who had the misfortune of being on a project that they ran, I would hardly call what they did “successful”.